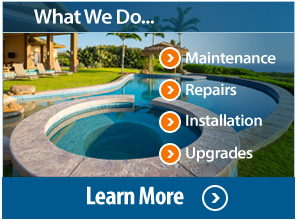 At California Pool Care, we offer a variety of services to take the hassle out of keeping your pool and spa properly maintained insuring its always looking and performing its best. 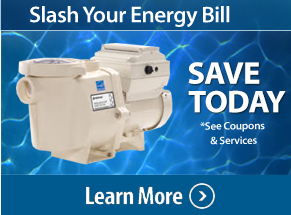 Sometimes all you need is a one time service call or seasonal services to be performed. From regularly scheduled cleaning services to emergency clean-up to equipment repairs and replacement, we’ve got all your needs covered. You should be enjoying your pool. Leave the maintenance to us! Call today for individual rates and customizable service packages. A clean filter greatly aids in maintaining a clean and healthy pool. 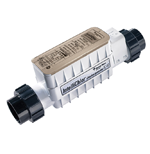 An average cartridge filter can hold between 20-45 pounds of dirt. 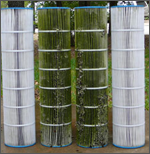 Its recommended back washing/cleaning your filter 1-3 times per year or every rise of 5-10 psi. A dirty filter can cause additional load on your filter pump, causing excessive energy usage and compromised filtration/circulation. Leaf vacuuming is necessary to pick up large amounts of debris (such as leaves). 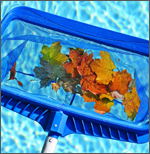 Leaves and debris are unsightly and can cause staining to the pools surface over time. Accumulated debris can clog main drains or skimmers restricting water flow to your filter pump resulting in limited water flow and potential motor failure. Vacuuming can remove unwanted sand, dirt and other smaller debris. 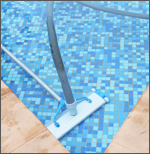 Routine vacuuming is often necessary on more demanding pools or pools not equipped with automatic pool cleaners. There are many different types of chemicals used in treating pool water, each one with a different action as well as a reaction to the chemical make-up of the body of water. 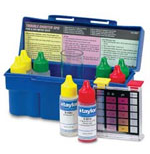 We can provide full chemical test and analysis of your pool or spa. The salt cell is typically located in-line with your plumbing. Over a period of time calcium and minerals will build up on the plates within the cell, blocking the electrical current and preventing the cell from doing its job to turn salt into chlorine for your pool. We recommend inspecting and cleaning salt cells at least twice a year. Check solar controller and settings. Check plumbing at pool equipment pad. 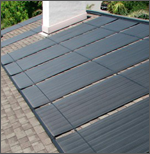 Check all solar panels for any leaks. We provide Residential Pool and Spa Inspection. You’ll want to buy your next home with confidence. But unless you’re a pool expert yourself, you’ll be wise to engage a Certified PoolContractor to conduct a thorough inspection. Don’t Rely on a Home Inspector. Some buyers assume the home inspection covers the pool. Even if they offer pool inspections, many home inspectors do not have the required expertise to evaluate a pool. 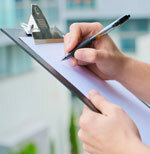 In fact, most home inspection reports include a disclaimer covering the pool. 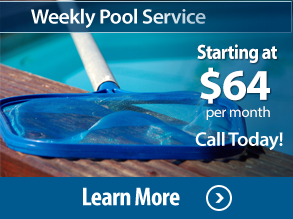 Call today and schedule a pool inspection with a full written report.